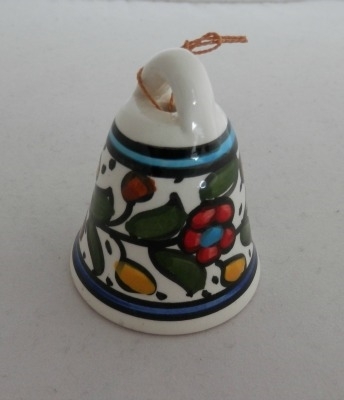 Small, decorative ceramic bell from Hebron, Palestine. 3" tall. Bells also come in dark blue with white colors. Some may look different than the picture.